Consignments of Pakistani mangoes are en route to Texas ready to undergo electronic beam technology treatment – a fast and efficient sanitization process used by one Pakistani exporter who speaks with www.freshfruitportal.com from his Houston base while waiting for his fruit to arrive stateside. 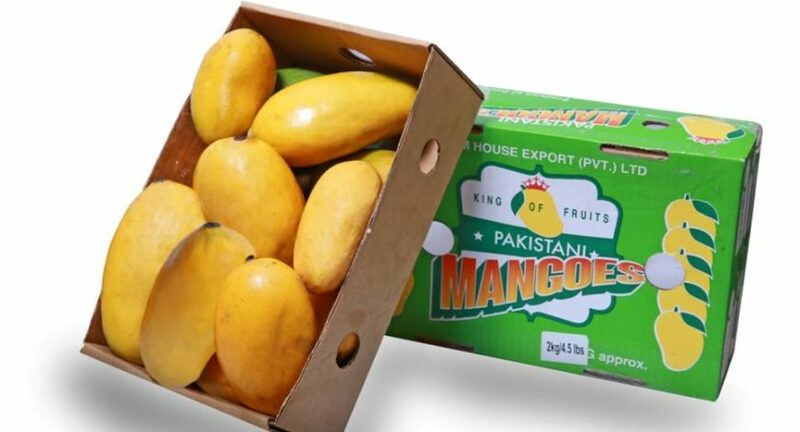 Pakistani mango exporter Zulfikar Momin is breaking into the U.S market this season with a planned 200 metric tons (MT) worth of fruit to be transported from the orchards of South Asia to the George Bush Intercontinental Airport in Houston. The consignments are due in batches over the coming weeks until the season finishes around the end of August. They will be transported around Texas and onwards to Mississippi ethnic stores in communities where the Pakistani variety of mangoes is popular. Momin, who runs Farmhouse Export (PVT.) Ltd, holds a unique position; he’s of Pakistani origin but lives in the U.S., and has been traveling between the two countries to set up the export deal. I’m distributing Pakistani mangoes in the U.S. and some consignments have arrived already and right now I’m waiting for more of my mangoes to arrive he tells www.freshfruitportal.com. In the past, Pakistani exporters have not managed to ship mangoes to the U.S. very much because there are a lot of compliance issues, but I plan to have between 20 and 25 shipments throughout this season. Momin is using electron beam pasteurization technology (e-beam technology) to treat and cleanse his mangoes and eliminate any possible contamination upon arrival in the United States. He wants to introduce the technology – a process where beta rays pass through cardboard boxes, plastic and paper to reach packed produce to eradicate pests and germs without the need to open packaging – to Pakistan. The trader is currently looking for private investment and is liaising with Pakistani government departments about possible funding, as well as overcoming approval issues. The technology is not currently approved for use in the country but is permitted in the U.S.A. and many other nations, according to Momin. He believes the e-beam technology used at origin (Pakistan) could revolutionize the mango sector which has been under intense scrutiny over the last few months, since counterparts in India have been banned from exporting the fruit to the EU amid serious contamination concerns. “The electronic beam technology is very convenient, fast, low maintenance and offers high productivity, but it’s expensive. “We can run the program very efficiently because you can keep boxes of mango on the conveyor belt which are moved along. The technology shoots the beam into the box and it eliminates any disease of pests in the mangoes. The older methods he refers to include hot water treatment, an ‘outdated’ and ‘inefficient technique’, according to Momin. “Hot water treatment is a little slow and old now so we wanted to find the latest technology to treat our mangoes and we started to work with the people who have the e-beam system. “There are a lot of hazards with hot water treatment in my opinion and it’s not the most hygienic method. Some people believe it affects the overall taste of the fruit and can cause injury to mango which is obviously not good. Momin adds that if e-beam were to take off in Pakistan he could then roll out supply to other states and forge deals elsewhere. “If I get investment and approval I could transport directly to any part of the U.S. and not just the Houston airport where I am working at the moment. He is also setting up mango trials for the East Coast including New York, Chicago and Atlantic City. “At the moment I am supplying the ethnic community stores run by Indians and Pakistanis mostly. I’m here waiting for my mangoes to arrive then after they go through e-beam treatment and get dispatched; I will set up the trials. “The demand in parts of the U.S. for our mangoes is so great, they love the fruit. I’ve heard of cases where people actually go to Canada to get their mangoes because they love them so much. Momin, who works with mango orchards in Pakistan to source only the highest quality fruit possible, is conscious of the high expectations from American consumers who pay around US$26 per 2.5kg (5.5lbs) box for his mangoes via retail businesses. Usually the exporters in Pakistan do not think about what the consumer needs but I do not compromise on the quality of my fruit. When I go to the orchards I tell the growers that I just want the perfect mangoes, I don’t want fruit with a single mark because I only want to supply the highest quality possible.